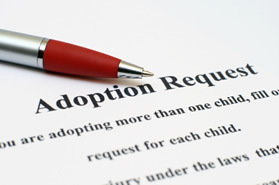 The law requires ALL prospective adoptive parents to complete a home study. We want to ensure that children are placed in safe and stable homes, and to help the Court determine the qualifications of the prospective adoption parent(s) to meet the needs of an adopted child. Note: By law, the Court requires a favorable home study prior to any adoption, and it must be completed by independent or agency social workers – just like the ones provided by Evergreen Adoption Services. A home study includes one or more home visits, questionnaires, and interviews. One of our social workers will schedule home visits to meet with you and your family. The home visit includes a tour of your home and interviews with all adults and children residing in the home. The home study process includes one to three home visits or meetings. Meetings are between one to two hours each. Evergreen Adoption Services provides you with the necessary training and education to adopt during the home study process. Contact Evergreen Adoption Services either via email, phone, or through our website. We will immediately send you the required paperwork to get the process started. Next, we will schedule a convenient time to meet for your home visit, discuss fees and explain the range of services we offer. We’ll ask you for a list of references and review with you the necessary forms to conduct a background check—a process Evergreen Adoption Services will administer quickly. Complete the required home visit(s). Plus, we’ll assist you with the required paperwork. Evergreen Adoption Services will provide you with additional adoption training & education, as needed. Return all required paperwork to Evergreen Adoption Services. We’ll complete the reference & background checks. Evergreen Adoption Services will finalize your home study report, which will be provided to the Court. Most home studies are completed within 6-8 weeks. Variables include how quickly you submit your paperwork, and the time it takes to conduct background and reference checks.